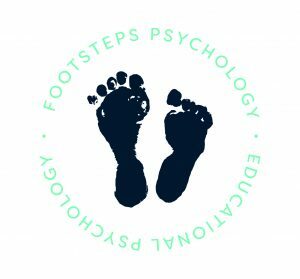 Footsteps Psychology offers bespoke and skilled educational psychology assessment and advice for pupils who are encountering barriers to their learning. assessments cover social, emotional and mental health, learning difficulties, social communication difficulties, ASD and speech and language. Assessments are tailored to suit the specific needs of the child or young person following consultation with staff, parents/carers and the child or young person. We draw upon a range of assessment tools to ensure a better understanding of the child or young person. In our eyes, targeted and specific assessment leads to targeted and specific intervention. Assessment is usually carried out in the educational setting. As part of our assessment model we firmly believe that partnership working with the school and parents/carers leads to the most significant change. Once our assessments are completed we work in partnership to discuss and advise upon strategies and ways forward. Psychological intervention focuses on the promotion of a child or young person’s development and wellbeing. Footsteps Psychology supports and delivers interventions in schools and in community settings. Therapeutic interventions such as Cognitive Behavioural Therapy are usually delivered on a 1:1 basis or in a small group. Approaches to teaching and learning: for example precision teaching, Dyslexia friendly classrooms and strategies to support working memory and thinking skills. Interventions that promote social and emotional development: for example peer mediation, circle of friends, circle time, self esteem groups, anger management and solution focused brief therapy. Small language groups which promote the language development of pupils. ‘Jude is effective in a whole school CPD capacity and has made a huge impact on whole staff knowledge which has impacted our ethos in the school. I will definitely be keeping her on speed dial.